If you own cryptocurrencies like IOTA you want to make sure to keep them as secure as possible. Leaving your coins/tokens on an exchange after you purchased them is probably not the safest way. Only if you have personal control of the Seed you really “own” your IOTA. First of all you need to make sure to create your seed in a secure way – so NEVER use an online seedgenerator! After creating your IOTA Seed you have to store it. There are different ways on securing your Seed. Keeping your IOTA Seed safe is very important – whoever knows it got full access to your funds. If you are using the Trinity Wallet you can create a so called “Seed Vault”. This is an encrypted file which you can save on a USB-stick, a truted cloudservice or whereever you want. But there are also IOTA hardware devices which help you with that problem. The most used device is the Ledger Nano S.
Using the Ledger your Seed never leaves the device. 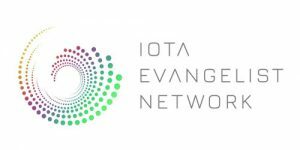 The Trinity Wallet, designed by the IOTA Foundation, is compatible with the Ledger. Just plug it in, open Trinity and you are ready to go.